Every spring CITO events take place as geocachers clean up parks and natural areas to welcome the return of warm weather. This year there are two CITO weeks, the first being from April 22 to 30. I.B. 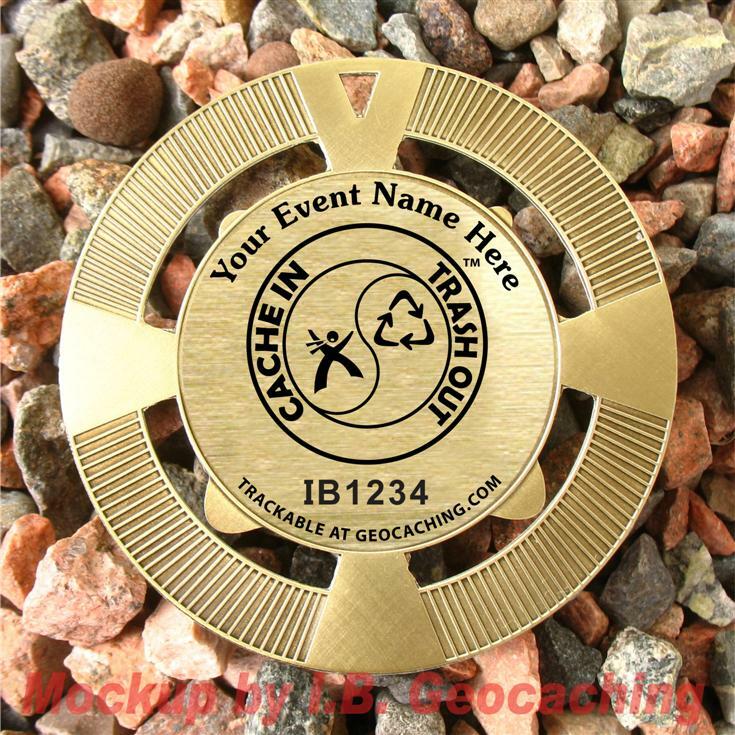 Geocaching Supplies is organizing a Group GeoMedal Geocoin project for CITO hosts wishing to have a custom trackable for their event. The images show a mockup of how the design will look. Please note portions of this design may be reused in the fall if another group project is run. The coins are 2.5" in diameter with cutouts around the central circle and a hole in the outer ring at the top allows for easy attachment to an object to travel. The available finish colours are antique gold, antique silver, and antique bronze, and the tracking numbers will have share a common name (e.g. 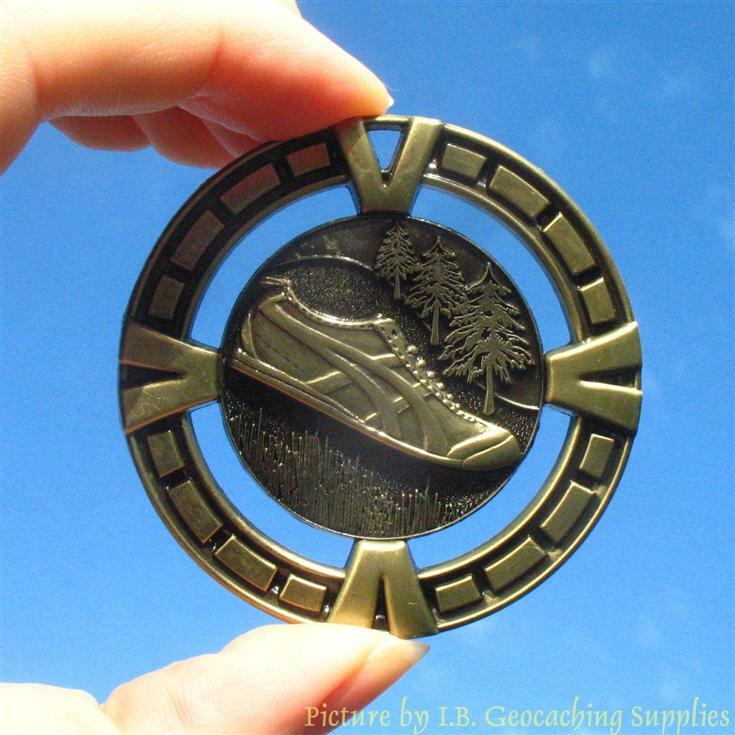 "CITO 2017 Spring Geomedal Geocoin"). The text "Your Event Name Here" on the back will be replaced with the name of your event. 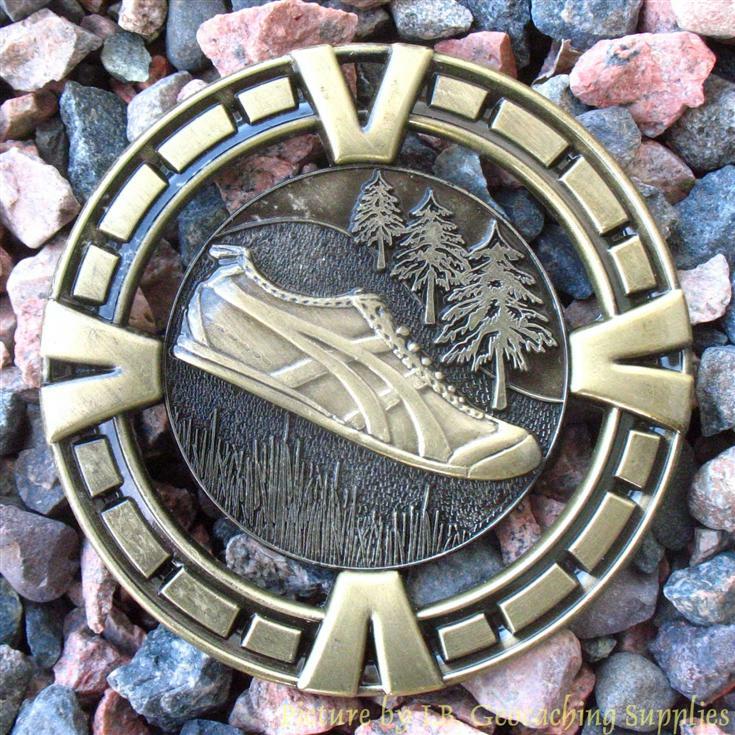 Be sure to specify your event name in the comments box when ordering, as well as how many coins you want in each finish. Are you located in Canada? Click here to switch to pricing in CAD. With an order of 50 or more you can choose a custom name for the tracking codes, use either the PC or EV prefix, and also choose between the event or generic icon. Shipping cost will depend on the order size and will be estimated in the shopping cart. Orders of 10 coins and under will be sent by regular mail with a normal delivery time of up to a week. Orders over ten coins will be sent by Expedited Parcel to include tracking and insurance, and will have a higher S&H than the cart shows (since the cart estimates shipping without tracking). March 14: Deadline to participate. March 31: Projected production finish date. April 4: Shipping of coins begins.